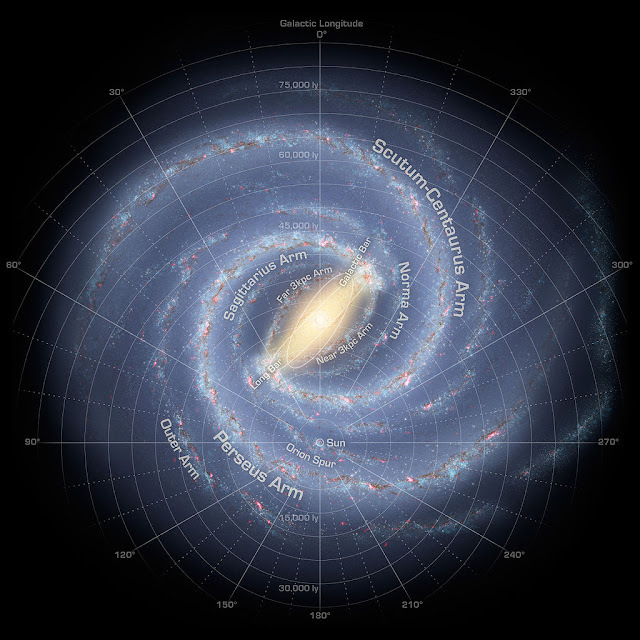 To kick things off, I want to start at the most basic level and re-examine the whole idea of what a galaxy is and what constitutes an 'empire'. 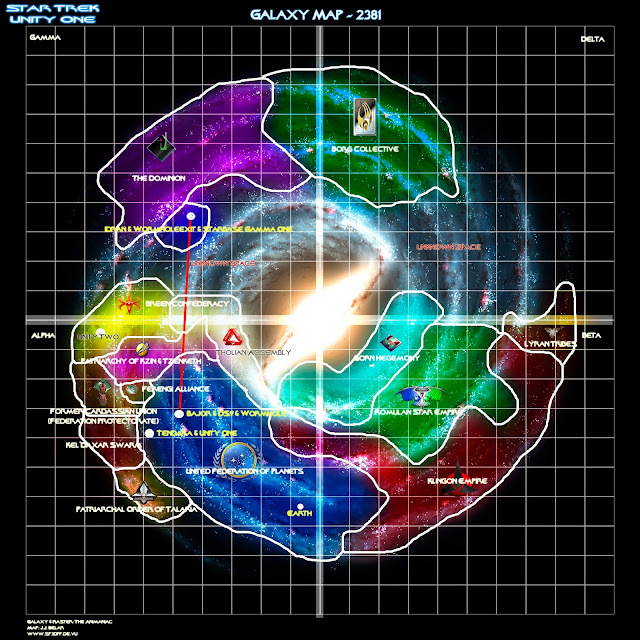 This is a Galactic Map based on 'Star Trek' that is pretty typical of most approaches to populating a Sci-Fi galaxy. In which authors take a big circle and divide it into nice geometric quadrants with irregular potato shapes to represent which faction is where. 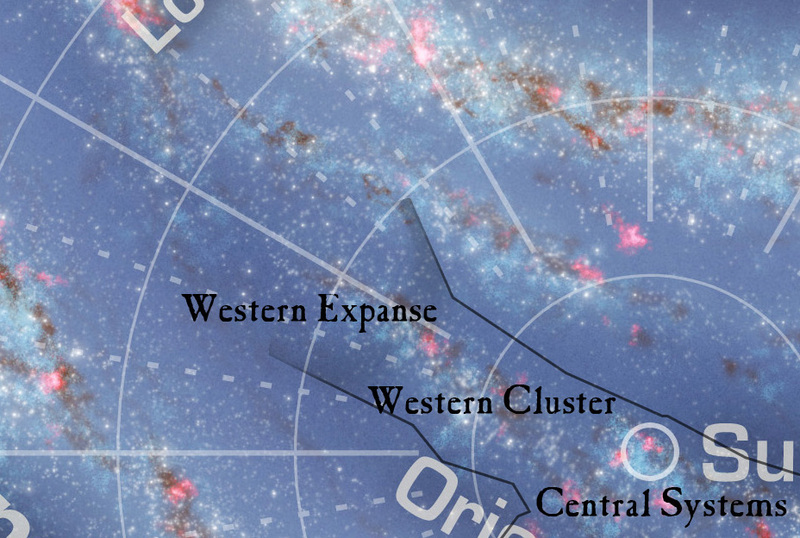 Like Trek, 40K has many different maps floating around. Here's one of the more detailed ones. The first problem I have with this approach is that it lacks any sense of place. In almost all cases, the map bears little or no relation to our actual galaxy. 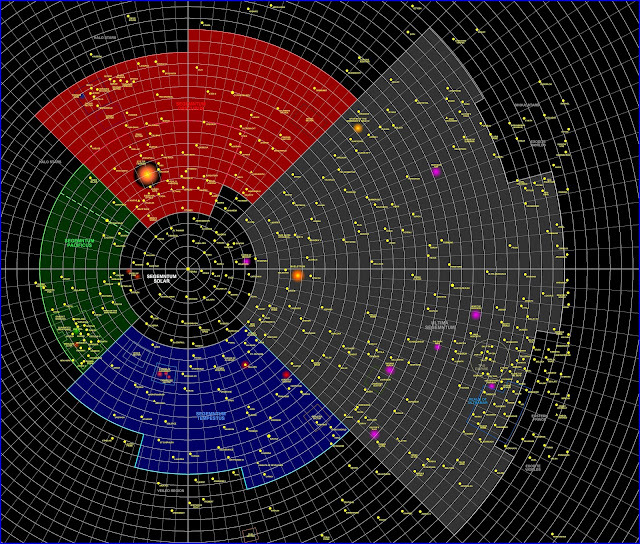 With star systems and national borders plopped down that don't reflect where the stars actually are. The second problem is one of scale. In the first episode of 'Enterprise', the ship makes the journey from Sol to the capital of the Klingon Empire in about a day. 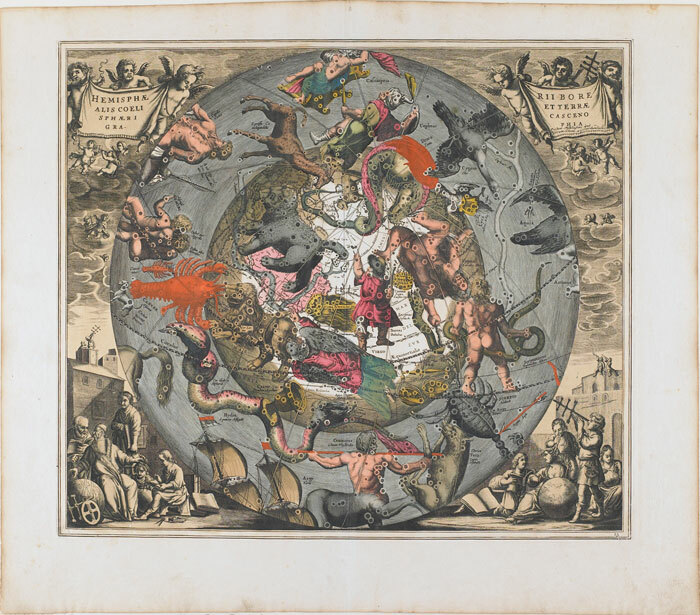 But look at that map. If a Warp 5(?) ship could make that journey in a day, then the much faster Voyager should have been able to cross back to the Federation from the far side of the Alpha Quadrant in a week or less. Maybe a month if they took their time to see the sights along the way. But let's look at our galaxy in this image provided by NASA. As an artist's impression, it's not a scientifically valid reference, but it will do for our purposes. You can click on any of these maps, BTW, to see a larger version. What do you see? Well, I see islands, continents and oceans. Not literally, but there is structure here. Most stars are grouped closely in the major arms of our galaxy. There are dense regions where travel from one star to another should be easier. While other stars are so far away from the others that they might never be visited by an advanced race. Here's the same image with an informational overlay, also provided by NASA. To put the scale in perspective, let's say that your super-warp-hyperspace drive lets you travel at an incredible 1 Light Year Per Day. Or some 8,760,000,000,000,000,000 miles per hour. At that speed, it would still take roughly 416 years to go from Sol to the far side of the galaxy and back. So the idea of even having a galaxy-wide empire is a bit silly. It's unworkable. 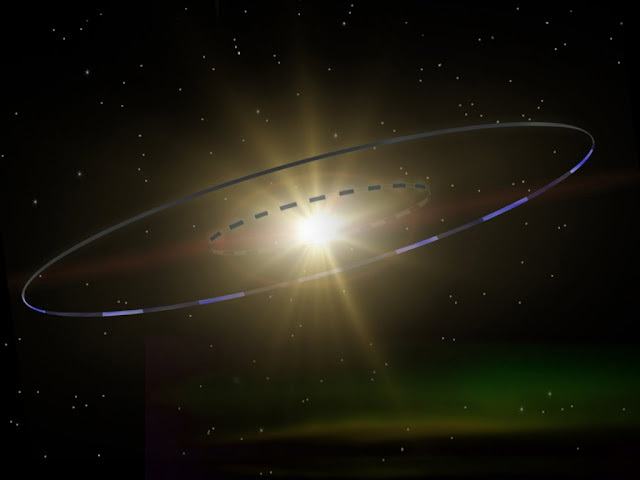 Our sun, Sol, is located on the inward part of the Orion Spur. Sort of a mini-arm that lies between the much larger Perseus and Scutum-Centaurus Arms. 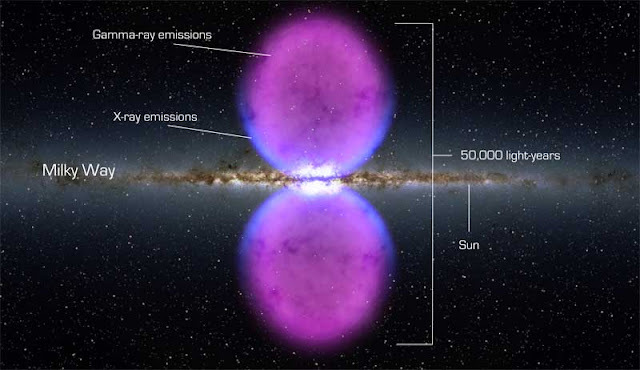 If we assume (only somewhat arbitrarily) that the stars of an arm that are closer to that arm's linkage to the galactic center are older, then we can start making other assumptions that start to give us a foundation for spinning a set of compelling stories. The stars 'North' of us are older, with more established civilizations, then the S-C stars 'South' of us. Let's also say that humanity has prospered in the last 38,000 years and has managed to dominate a majority of the Orion Spur. On a galactic scale, that's pretty small, but we're still talking about a LOT of stars. Some 600 million within the 5000 light years of that first circle of the scale alone. 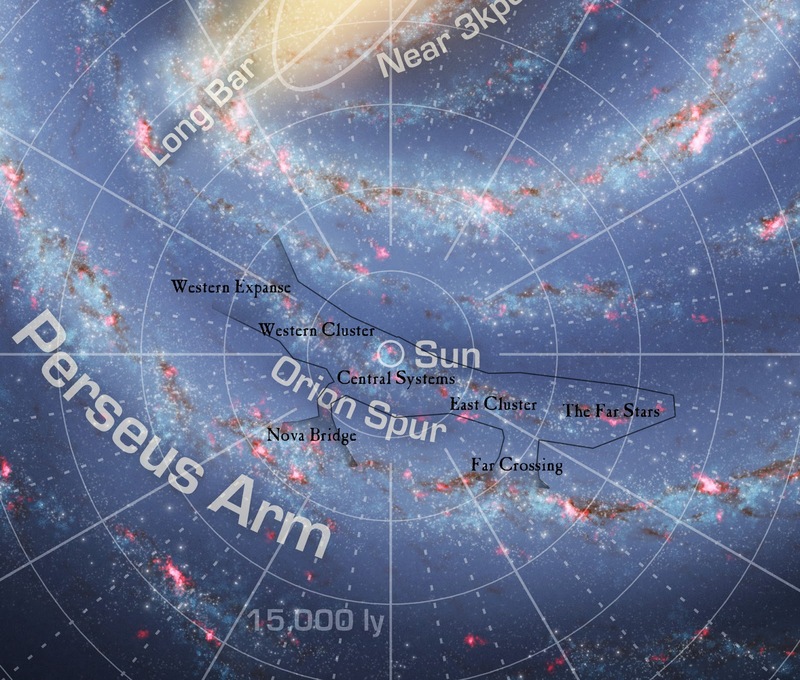 The portion of the Orion spur that I've marked out is about 28,000 light years long and a little less than about 5,000 light years wide. Travel will be faster in some parts of the spur than others, but let's say that it usually takes about 10 years to travel from end-to-end. That's still an average speed of about 7.7 LY/Day. Which is stupendous. If you have FTL couriers or automated com-ships stationed at the jump points (no need for intra-system travel), then you could potentially send a message much more quickly. Maybe 6-8 months end-to-end. Which would make a unified civilization just about possible. More likely though, we're talking about a loose confederation of 2-3 human empires that tend to work together (aliens unify us), but administer their own affairs. Each with their own interests. The civilization across that expanse is also likely to be more advanced than our own. Owing to it's position closer to the central core. Notice the 'Highway' of large stars that travel northward from the 'Ex' in the word Expanse. That's the primary trade route and path for invasions. 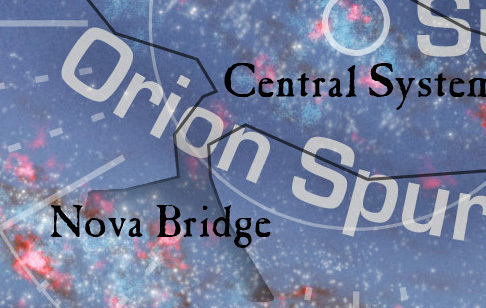 The Nova bridge is more dense, and therefore faster. But it's also full of Novas, which present their own hazards. 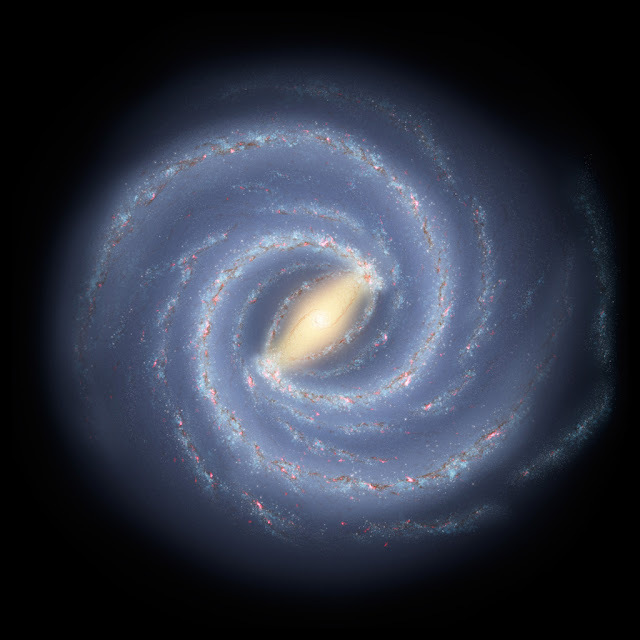 This little bottleneck is 'only' 1000 light years wide, but that's still a lot of space. Let's imagine that there are only a dozen safe passages through this area. Which makes it quite defend-able in a strategic sense. The other side of the bridge leads to some fairly new stars, which means that whatever civilizations are there are likely to be less advanced than ours. Then there's the far crossing, which is so wide as to be apparently undefendable. But again, there are highways of large stars that would direct most traffic. One of these leads right into the East Cluster. While the other stops short of the Far Stars. The stars on the other side of the crossing are REALLY dense though. So It's likely that humans are on the defensive here. Although whatever civilization (or three) that is here won't be nearly as advanced as even the ones across the Nova bridge. Maybe we've crossed over and started a beach-head that's under siege? The Western cluster is probably also the richest part of the empire, as it has slaves, more advanced (stolen) tech, and trade connections to whatever advanced pointy-eared race lies cross the Western Expanse. The Central Systems are probably the richest in terms of culture and influence. 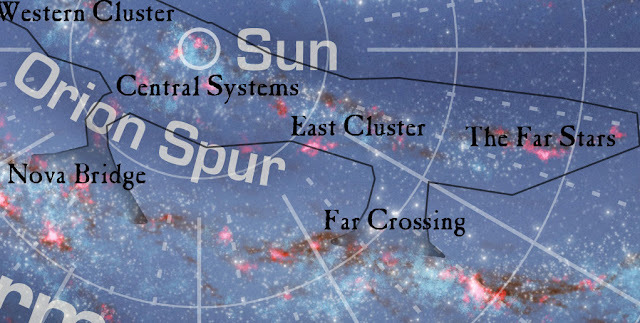 The Nova bridge is a tricky trade route though, so most of what they have comes from the clusters to their east and west. The East Cluster is probably pretty peaceful. Long-conquered and unified. They've got a good thing going with their connection to the Far crossing, but the younger stars don't hold the riches that the older ones more core-ward do. The Far Crossing, BTW, is large enough that it may have it's own distinct culture. If this region is administered by the East Cluster, then there could be a good bit of friction there. The Far Stars can be the badlands. They don't lie on the path to anything else but a Nova, and they're not especially rich. But maybe something nasty could pop out here, un-noticed until it posed a real threat to the East Cluster and it's trade routes. Hopefully this sparks a ton of ideas. As a final image, here's our galaxy turned edge-on to us.